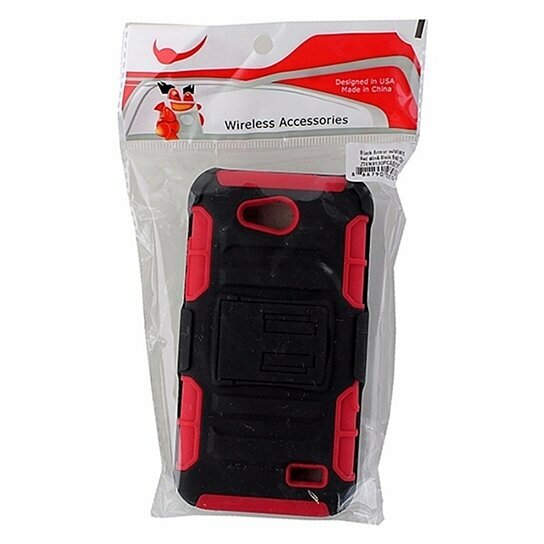 Wireless Accessories, Dual Layer Stand Case for ZTE Speed 9130. Black hardshell exterior with a built in stand and a soft red interior layer. All black holster with rotating belt clip.